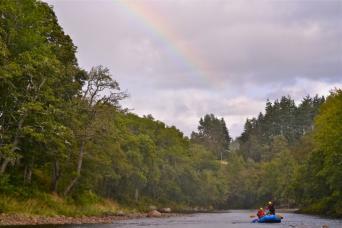 The paintball site we have at ACE is located by the river Findhorn in Moray not far from Aviemore, Elgin and Inverness. The game zone has lots of natural cover and obstacles strategically set so you can always outflank the opponent. 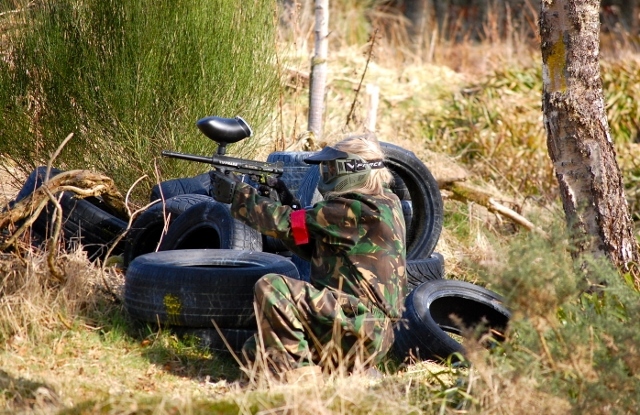 Paintball games are tailored to player experience and numbers making each session a unique paintball experience. 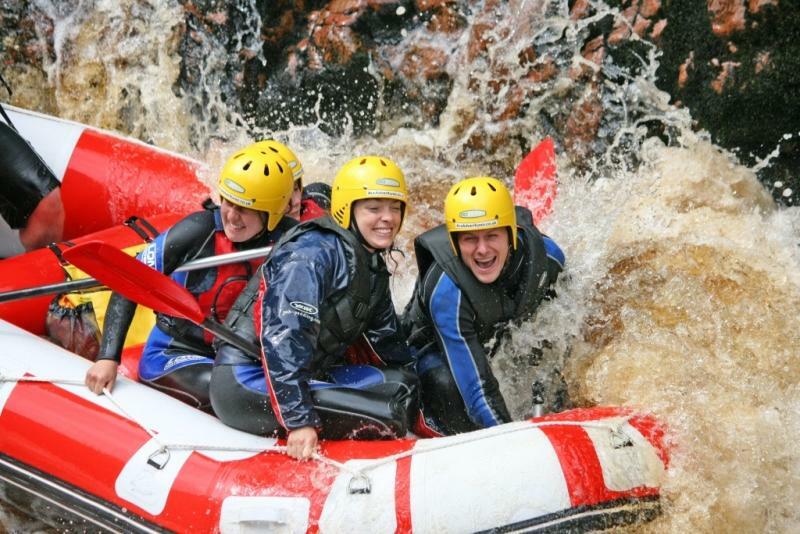 Our marshals will keep you on your toes at the same time as keeping it safe. No previous experience is required, a basic level of fitness isn't essential but may be tactically advantageous! 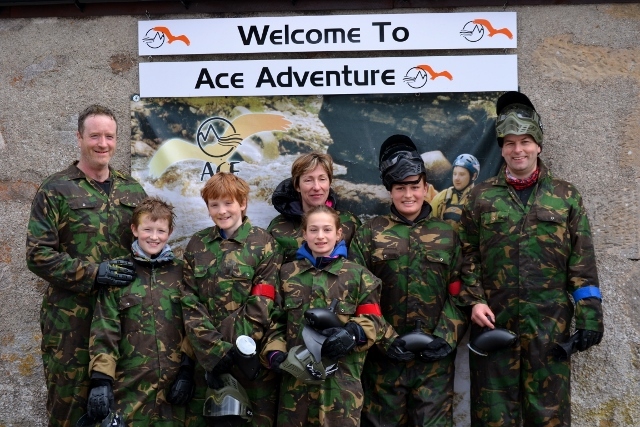 ACE Woodland paintball is deliberately designed to keep paintball games short and fast. There are little or no places for players to bunker down inside an enclosure and slow the games down to a stalemate. A typical player can expect to shoot between 500 and a 1000 shots in a session. The gamezone is designed so that any team can utilise communication and collaboration to outflank the opponent. 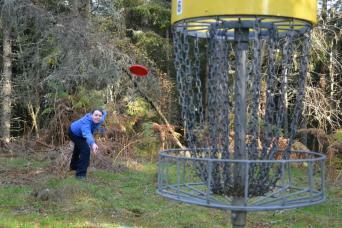 The terrain is in mature well spaced pine forest with wooden and tyre barricades. Enough cover to make an advance, not enough to hang about! Upon arrival you will be met by a member of the Ace team who will sign you in at reception and confirm the initial amount of paint you want to start with. The head Marshal will take you along to the game area and issue overalls and a face mask. A safety brief is done before we then hand the markers over for instruction and practice in the shooting gallery. Capture the Flag: Each team is set a flag – close to their opponents base. The objective: return your flag to your base, simple! Bombing Run: Teams are given the role of defender and attacker. 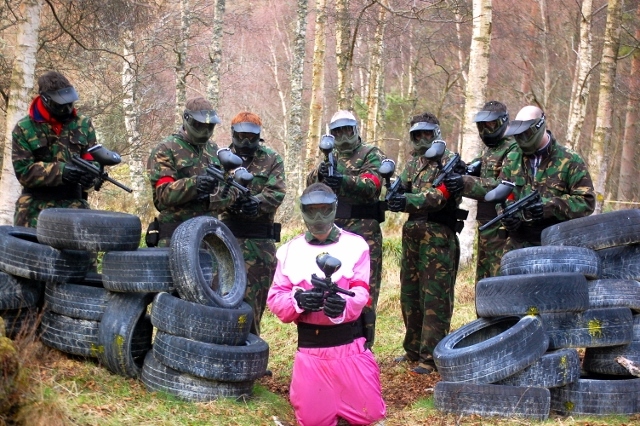 The attacking team is given a “bomb” while the defending team have a “target”. The objective – attacker: place the bomb at the target. The objective – defender: protect the target with your life! Predator v.s. Prey: Two unequal teams are created (i.e. 3 and 6) with the smaller team being prey and the larger team predators. If a predator is shot, they are out of the game. If a prey is shot, they become a predator. The objective: eliminate the other team. ACE Assassins: Every player's name is placed in a kitty. Each player then picks a name or “contract” from the kitty which remains secret until the game starts. Each player then has 30 seconds to enter the field of play and set up. When the game starts you have to hunt out and eliminate your contract without being shot by your assassin. The Objective: find and eliminate your target without being shot yourself. Last Man Standing: Everyman for Himself: It does what it says on the tin. During and after we stop to allow for refreshments.